Monte Cruz Ranch is located in prime turkey country! Turkey hunting is ideal here because of the major creek and river drainages that provide vital roosting and nesting habitat for the birds. We have a very high success rate at the ranch with most of our hunters leaving with more than one bird harvested on their hunt. Our guides scout extensively and are great callers, priding themselves in putting our clients in a position to have the best chance at a successful hunt whether it is your first turkey hunt, or you need a “Rio” to complete your slam. 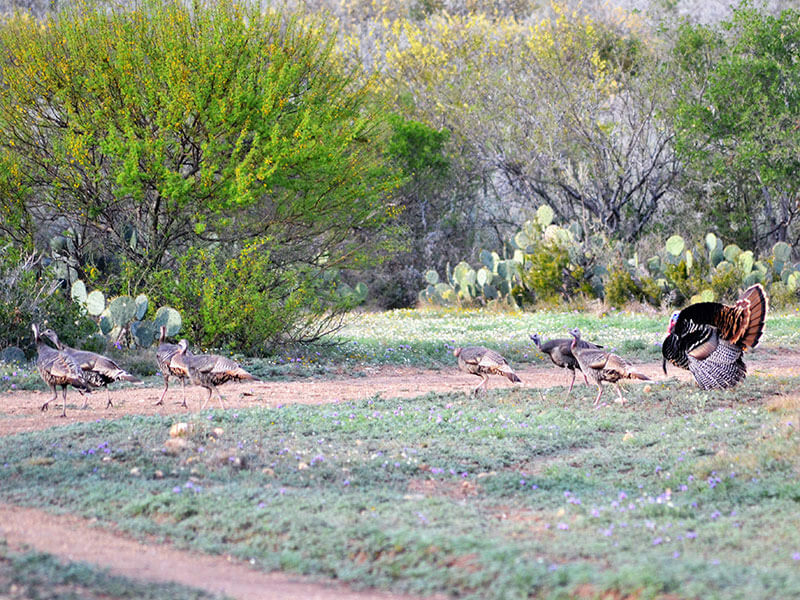 A turkey hunt at Monte Cruz Ranch costs $2,000 per hunter and includes two Gobblers. The hunt is 4 days/3 nights and includes all meals, lodging, and your guide. Please visit the Turkey Gallery page to view recent harvests from Monte Cruz Ranch.